Denmark was a major European power during the Viking period from the ninth to the eleventh centuries, even under Cnut (Canute), conquering most of Britain. It also united Finland, Greenland, Norway and Sweden for much of the period between the eleventh and nineteenth centuries. The area of north-east Europe comprising Scandinavia includes Denmark, Finland, Norway and Sweden. 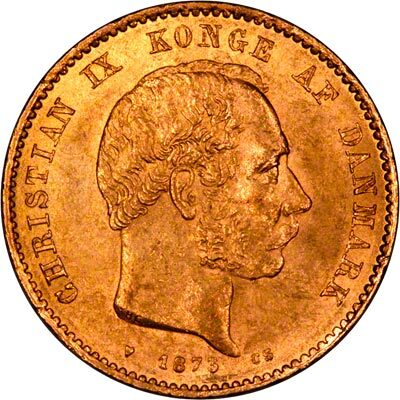 Denmark has been a constitutional monarchy since 1849, and adopted a decimal currency in 1874. 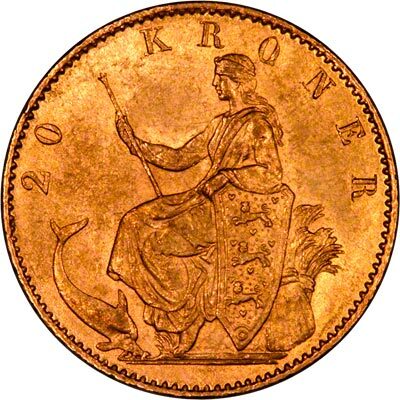 Between 1826 and 1886, Denmark issued gold trade coins styled as "Frederik D'or" (Gold Christians), named after its kings Frederik VI and VII, and also double sized coins, known as 2 Frederiks D'Or, or should that be 2 Frederik D'Ors? 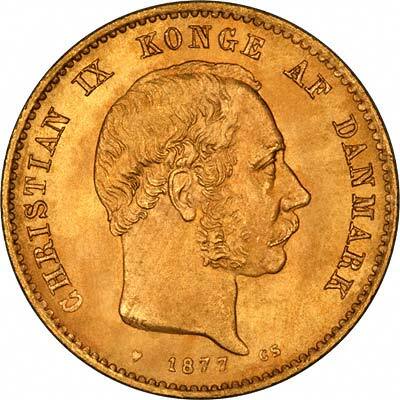 Between 1841 and 1870, Denmark also issued similar gold trade coins styled as "Christian D'or" (Gold Christians), named after its kings Christian VIII and IX, and also double sized coins, known as 2 Christians D'Or. We should not confuse these with Christian Dior! Please telephone us prior to ordering for current prices and availability. For silver and base metal coins of Denmark, please look at our original Chard Coins website.